The Carnegie Theatre in Workington, Cumbria, was originally built as a library. With funds donated by Scottish/American philanthropist Andrew Carnegie, the building opened to the public in 1904. 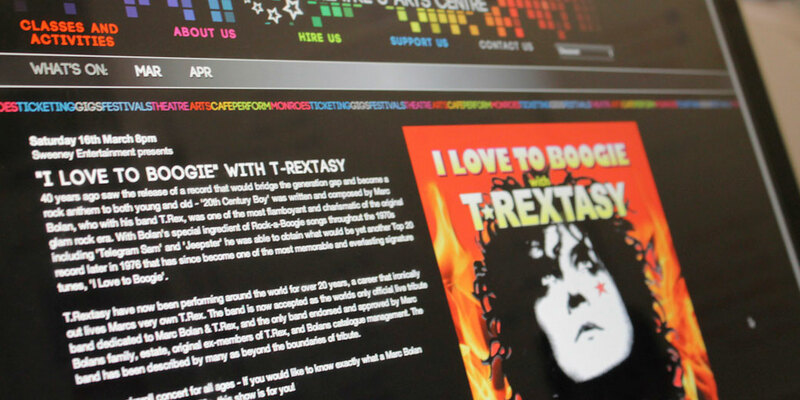 One hundred and eight years later we were delighted to be commissioned by Allerdale Council to provide a new website for this historic venue. 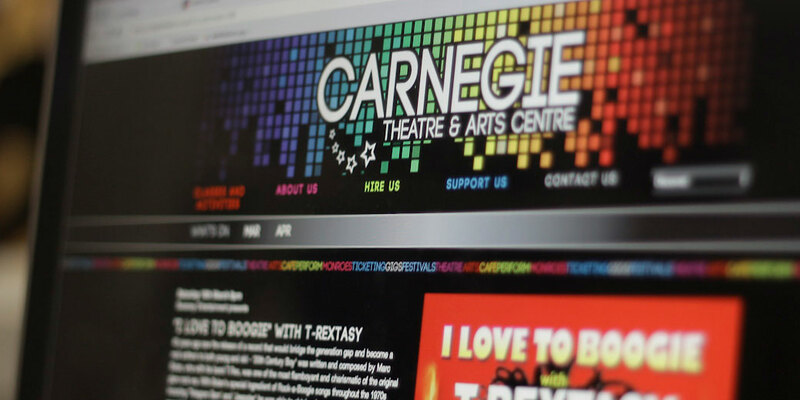 We also developed a colourful new logo, complementing the theatre’s refurbishment in 2012.
carnegietheatre.co.uk is focused on up-coming acts and events, with a large front page carousel acting as a showcase. 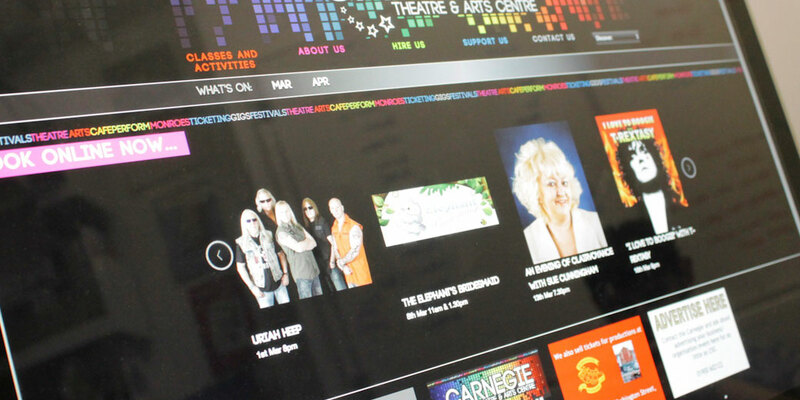 The custom content management system we developed for the theatre staff allows them to manage all their listings and adverts.